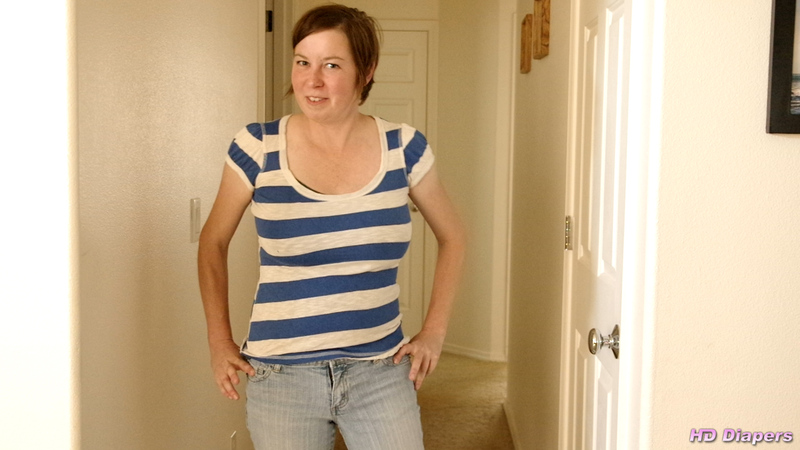 Carly attempts to flood her bulky adult diaper forcing it to leak into her jeans in this video. Carly is wearing a bulky adult diaper. As previously shown, these diapers can hold a lot of liquid! Still, Carly really needs to pee. She is wondering if she will be able to get the diaper to overflow into her jeans. We get to watch as she tries it. It is clear just how bad she needs to pee. When she lets go the diaper quickly becomes saturated, and then begins to leak. The camera gives us a nice close up as the diaper overflows and a wet patch expands down her leg. 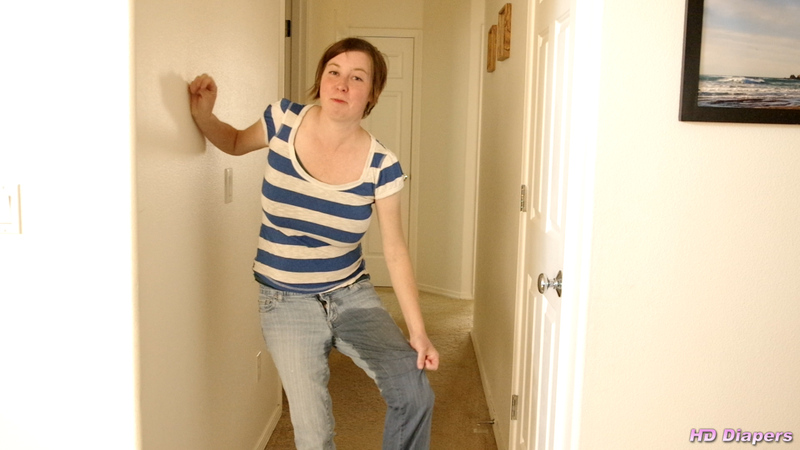 Afterwards, Carly takes off her wet jeans for us. We can see just how much the diaper has expanded with all that fluid. She also takes off the diaper to give us a look at just how wet it is.